Bid Buddha automatic is a fast finishing auto flowering strain which was created by crossing northern Lights, Ruderalis and Bonkers male. Big Buddha Automatic is the next generation of autoflowering strains bred with the intention of more stability and vigor as well as flavour and a taste that the 1st generation of autoflowering strains never had. 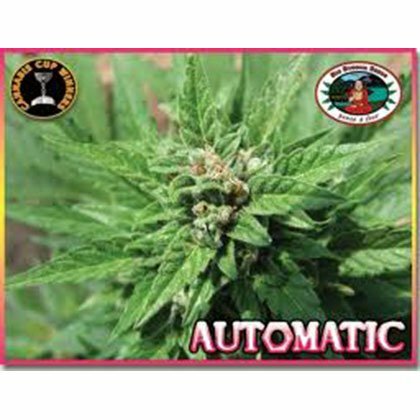 Big Buddha’s ‘Automatic’ is one of the easiest to grow autoflowering plants in the world. It will astound you with its ‘cotton candy stick’ structure & amazing ‘sticky resin’ glistening on its flower tops. With its short height and extremely ‘sea of green’ structure, Big Buddha’s ‘Automatic’ is extremely low maintenance.